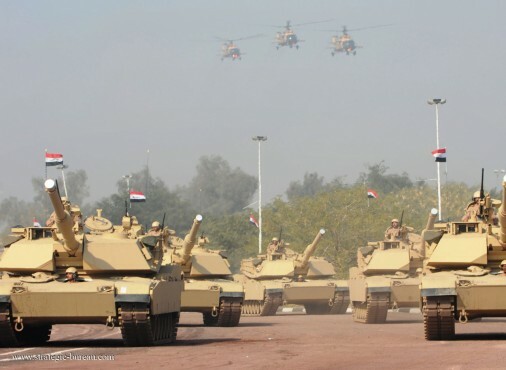 175 main battle tanks M1A1 Abrams for Iraqi army. The State Department has made a determination approving a possible Foreign Military Sale to Iraq tanks and associated equipment, parts and logistical support for an estimated cost of $2,4 billion. The Government of Iraq has requested a possible sale of 175 M1A1 Abrams Tanks, 175 12.7mm M2 Machine Guns, 350 7.62mm M240 Machine Guns, 10 M2 HB Machine Guns, 10.000 M831A1 120mm HEATP-T Ammunition, 25.000 M865 120mm TPCSDS-T Ammunition, 10.000 M830A1 120mm HEAMT Ammunition, 10.000 M1002 120mm TPMP-T Ammunition, Radio Systems, Receiver Transmitters, simulators, support equipment, fuel, transportation, spare parts, repair parts and 15 M88A2 Improved Tank Recovery Vehicles.